Located down the road from Windsor Trace equestrian community, this 15 acre tract is mostly wooded and offers a cleared home site. Triangle shaped with a small amount of road frontage touching on Windsor Road just before Fletchers Drive. Good flat topography elevations per Aiken County Aerial Map from 310.05 to 314.98 elevation. 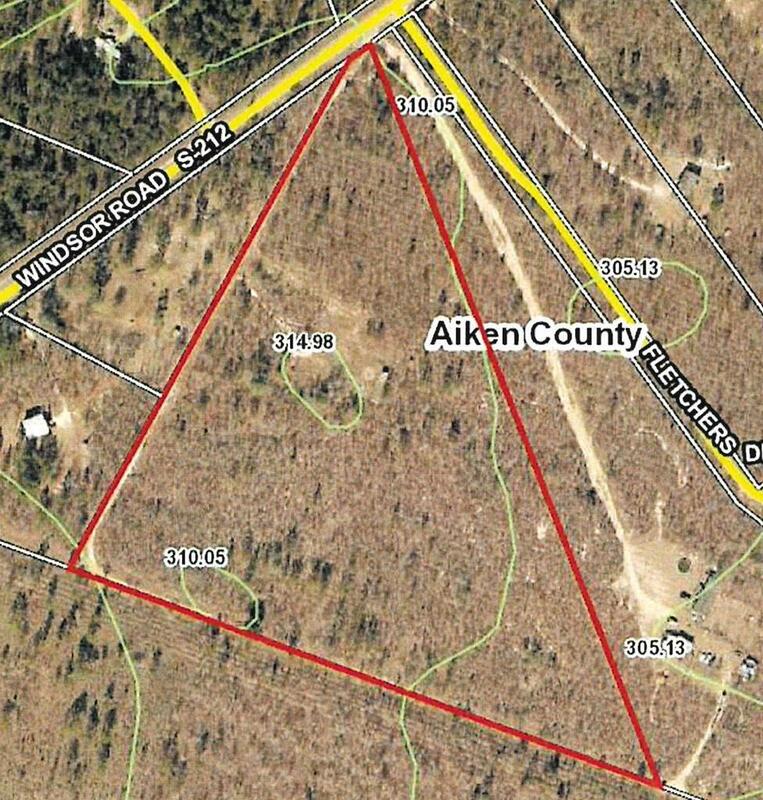 This tract is contiguous with the Aiken Gopher Tortoise Preserve, which is approximately a 1,622-acre preserve home to the rare and state-listed endangered gopher tortoise. Enjoy hiking, fishing & riding within the nature preserve. Well is As Is (no pump).